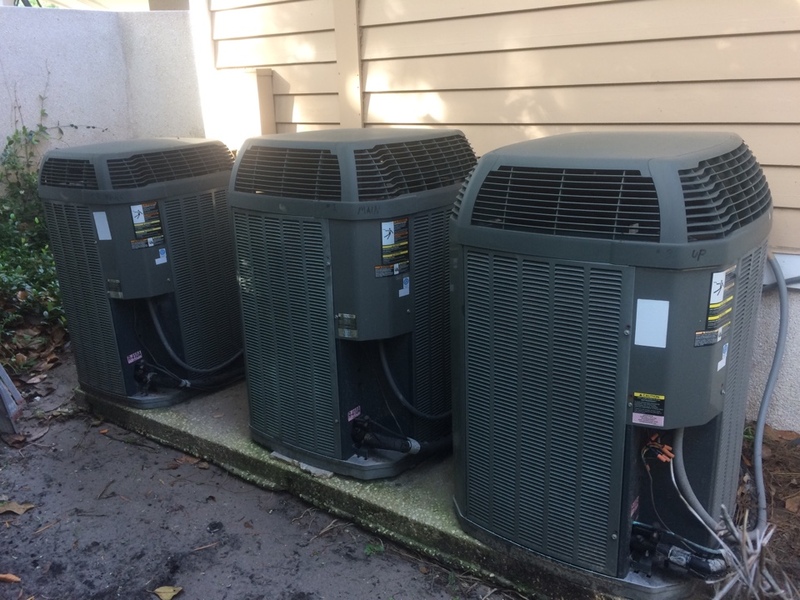 Ponte Vedra Beach, FL Air Conditioning & Heating Services – Service, Repair, and Installation AC Comfort Systems provides air conditioning, ductless, heat pump and heater repair, service, and installation in Ponte Vedra Beach, FL and surrounding areas. Very professional, respectful and competent team. Did everything they promised. Who could ask for more? Very professional and excellent workers. Oliver was most helpful and getting the new thermostat installed and working with the internet. As it turned out I needed a new router in order to complete the installation. AT&T will be sending this to me and I will continue the setup in order that I can control the system through my smartphone. Oliver was patient and works with AT&T to solve the problem. We have had great service every time we needed repairs or maintenance on our AC/furnace. We cannot say enough about the professionalism exhibited by Oliver, the service technician. He is always on time, courteous and a very hard worker. He is a very friendly person and very knowledgeable and capable of repairing all types of AC/Heating issues that arise. We have complete trust and confidence in all of his work. We are very biased because of the unusual effort he put forth when we had no AC during the hot days of summer. It was imperative that we needed AC in the condo because my Mom was 94 years old. Oliver worked on the AC for several hours after normal work hours to fix the problem. He did an awesome job and never complained about the heat himself. Our hats are off to Oliver and AC Comfort for helping us when we couldn't get any other company to service our AC especially after normal business hours. Oliver is a true asset to AC Comfort and an outstanding service technician. Thank you Oliver! Joshua and Jack high 5 as well! I had my AC replaced and they did an amazing job and cleaned up after themselves. They are very professional and I would highly recommend this company. Their prices are the BEST. Thank you. Ponte Vedra Beach. A/C not cooling. Found a broken electrical connection in A/H. Made new connection and system is now cooling. Ponte Vedra Beach. Added ductwork to office building. Ponte Vedra Beach. A/C not cooling. Found bad blower motor in A/H. System is 19 years old and homeowners will decide on replacing the system or repairing it. New system is recommended due to age and poor condition of the system. Ponte Vedra Beach. A/C not cooling due to blocked drain line. Cleared and now cooling properly. Ponte Vedra Beach. Checking A/C that’s not cooling. Ponte Vedra Beach. A/C is now cooling properly after replacing bad capacitor. Ponte Vedra Beach. A/C not cooling due to weak capacitor. Replaced and now checking operation. Ponte Vedra Beach. Summer maintenance. Ponte Vedra Beach. Free quote to replace heat pump system. Nocatee/Ponte Vedra. Installed a WiFi T-Stat. Ponte Vedra Beach. Free quote to relocate A/C. Ponte Vedra Beach. A/C not cooling due to bad capacitor. Replaced and now cooling again. Nocatee/Ponte Vedra. Installed a 4 ton Goodman 14 seer heat pump system. Ponte Vedra Beach. Cleared blocked drain line. Marsh Landing/Ponte Vedra. Installed a 2.5 ton Amana 16 seer heat pump system. Ponte Vedra Beach. A/H leaking water due to blocked drain line. Cleared and now draining properly. Marsh Landing. 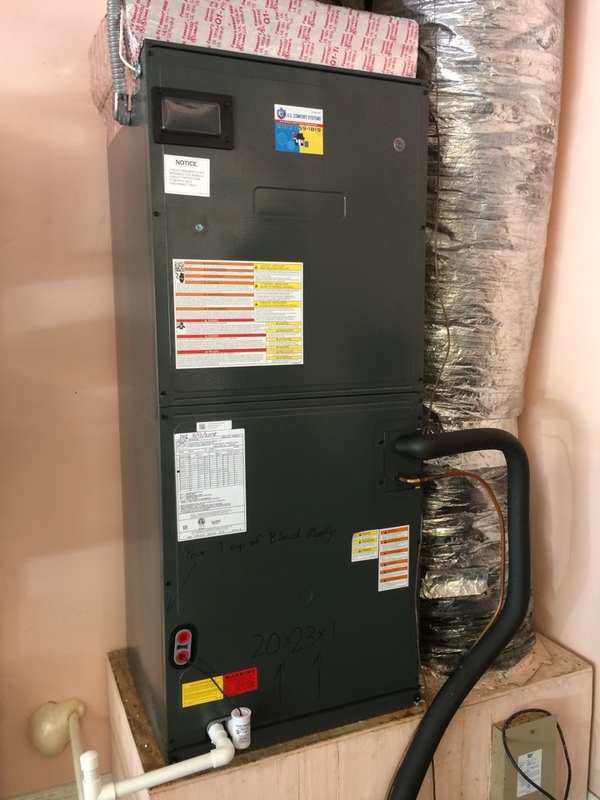 Replacing 3 heat pump systems. Ponte Vedra Beach. Installed a 5 ton Amana 16 seer heat pump system. Ponte Vedra Beach. 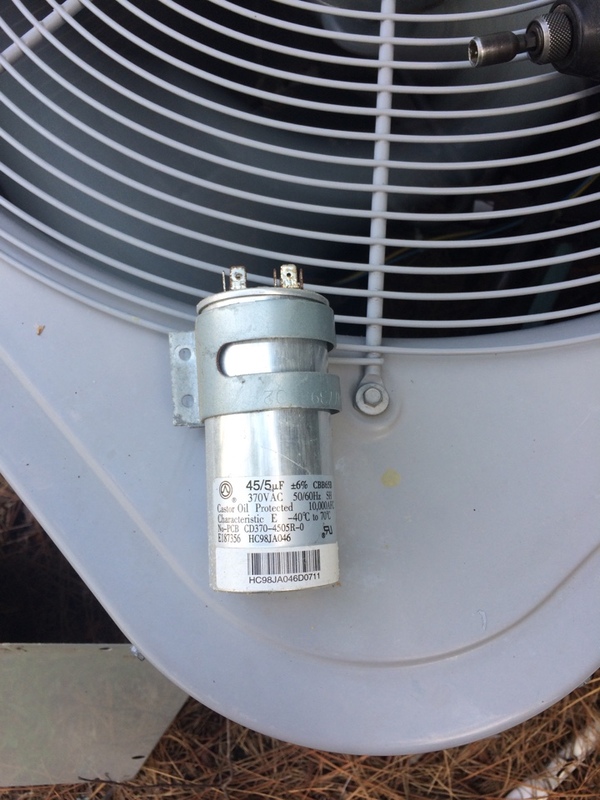 Condenser fan motor not running. Replaced bad capacitor and now system is cooling. Ponte Vedra Beach. Charged system with R410a that’s low on charge at a condo. System is cooling now. Nocatee/Ponte Vedra. 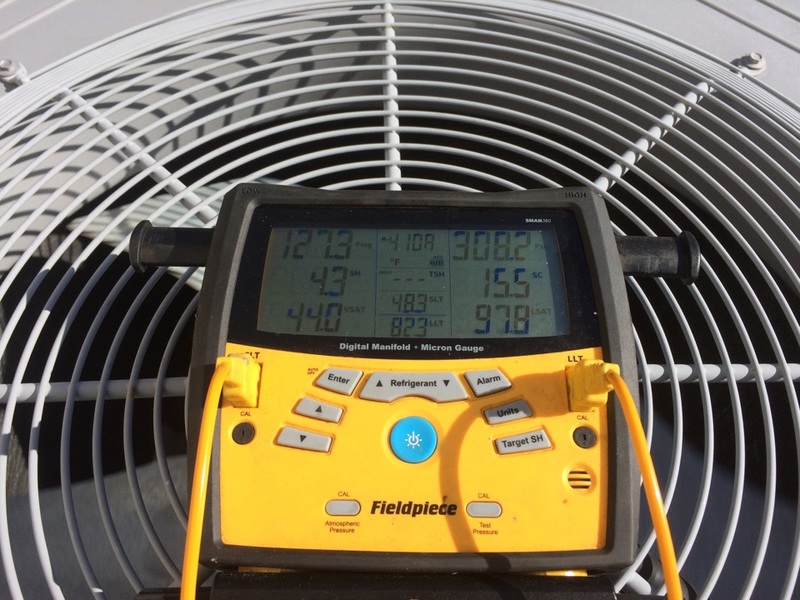 System not cooling properly due to contaminants in refrigerant. 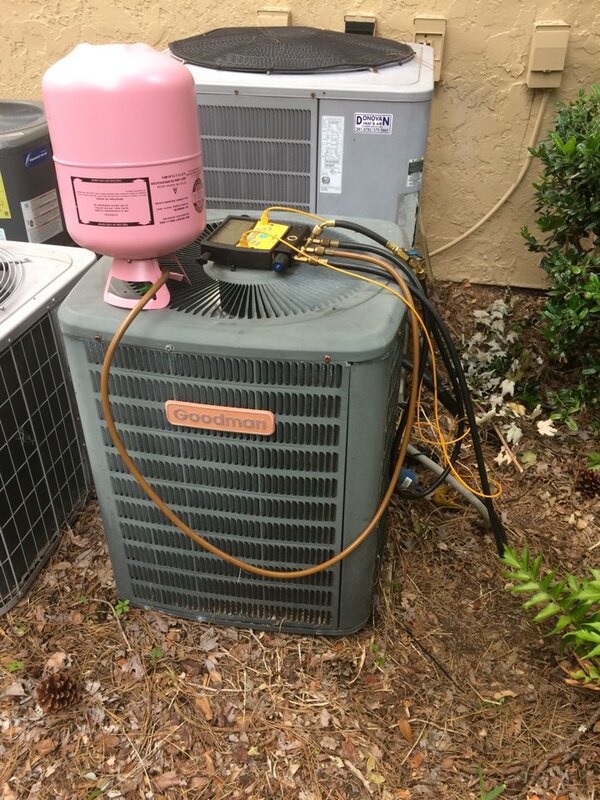 Removed bad refrigerant, changed filter dryer and evacuated system. Then charged with new R410a. System is now cooling per manufacturers specs.